Club-S12 - Is My Fuel Pump Finally Dying? Went out to run some errands at lunch, turned the key and no familiar fuel pump noise. Didn't start either, no surprise. Cursed it a few times, turned the key off and on several times, banged the bottom of the tank - and the pump came to life and car started. This eve, time to go home, same problem. This time I shook the back of the car to get he fuel sloshing around well (almost a full tank) and pump worked again. Able to make 10 minute drive home. 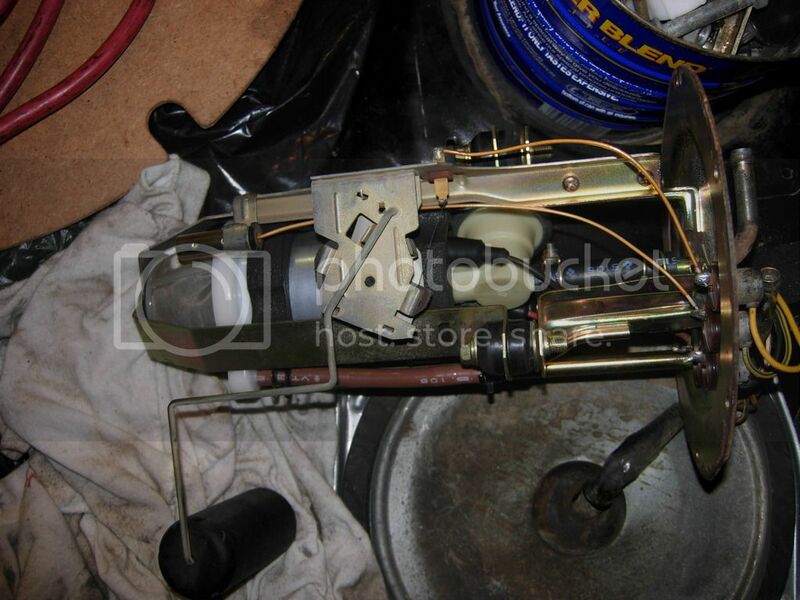 This is the original stock pump in an 85 hatch with CA20E. Don't think there's a fuel pump relay in this year. Can pumps get intermittent before they perish? Any suggested tests? Pump brand choices? Thanks in advance for your expert help! Re: Is My Fuel Pump Finally Dying? 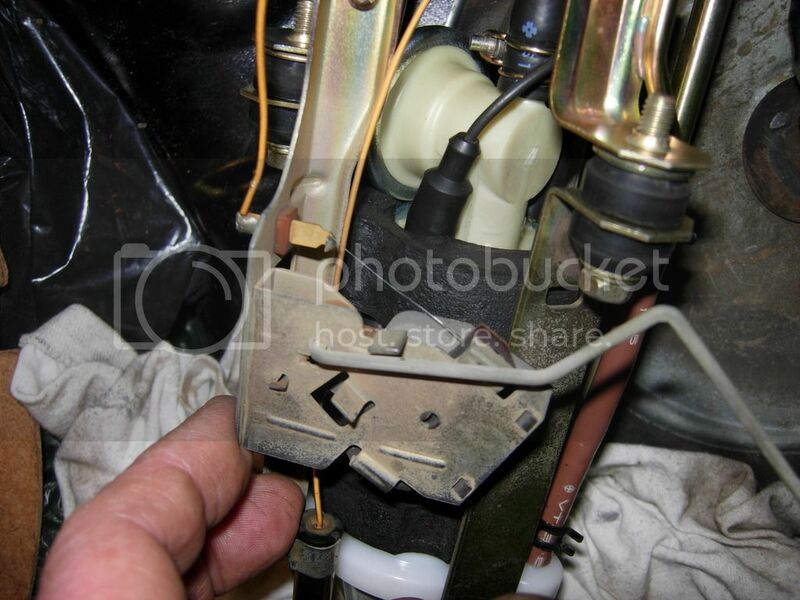 Ground the wire trick and see if it is the pump as the pump then should stay on as you key on the ignition I believe the mk1's are designed that way. I thought if the pump is very loud before they go out? Pump sound has not changed. Can you be more specific about the "ground the wire trick" please. Wondering if it's getting intermittent - runs ok and keeps going once you get it to go, but other times won't start at all - kind of like a balky starter motor before it dies. When you key on, do you get pressure? that would be one indication if you are getting anything from the fuel pump itself, mine doesn't make a noise till it fires. If no pressure then it is a pump related issue. If pressure, check fsm for how much on key on before fire. I think it's around 37psi, or atleast my ca20 is at that pressure range and shouldn't be different. For the fuel pump trick, you just cut the ground wire at the harness and ground it to the chassie instead of letting the ecu work it. But I wouldn't do that till you rule out fuel pressure. Mine turned out to be the distributor as reading old past forum posts seems to be a common ground for things to not work. i would check the wiring to the pump especially the ground wire, the tap may be at the verge of snapping off the cover and you are getting a faulty ground situation. I think the wire is yellow. Wonder, the way it's supposed to work is turn key on, you hear the fuel pump run/prime for about 5-8 seconds, pressure reached and it turns off. In my case, the new thing is turn key on, pump does not run/prime, so car doesn't start - until I shake the car a few times to slosh the gas around and the pump eventually primes again. Boss, wires look pristine going into the pump cover in the hatch. Tried jiggling them - no change. Haven't taken the cover off yet to inspect wires further. Just like bossman said, check the wiring. Sounds like you have a wiring issue. 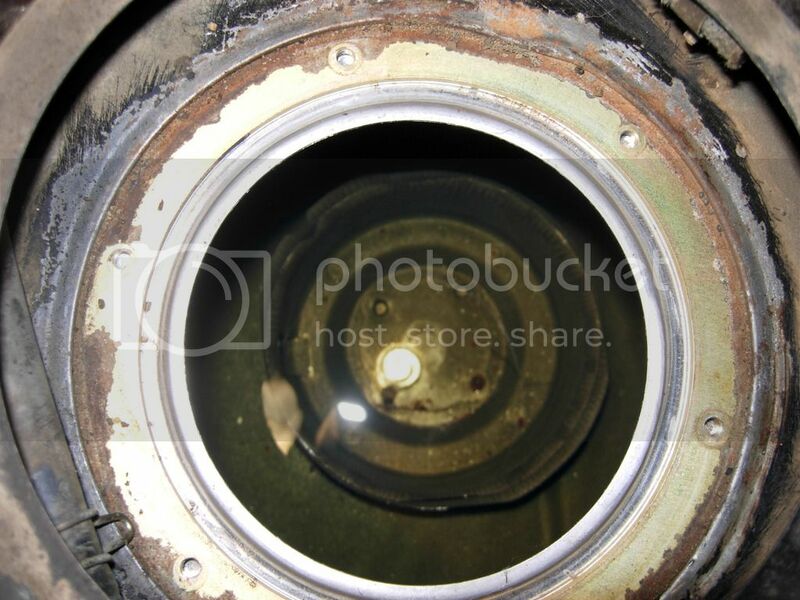 Yes, take the pump cover in the hatch then you'll see the sending unit bolted to the top of the gas tank, dirt and crap tend to accumulate on top of the tank and this is where the problem is. I think there are two ground wires, one is black and one is yellow, the yellow is the pump and the black is for the fuel level. 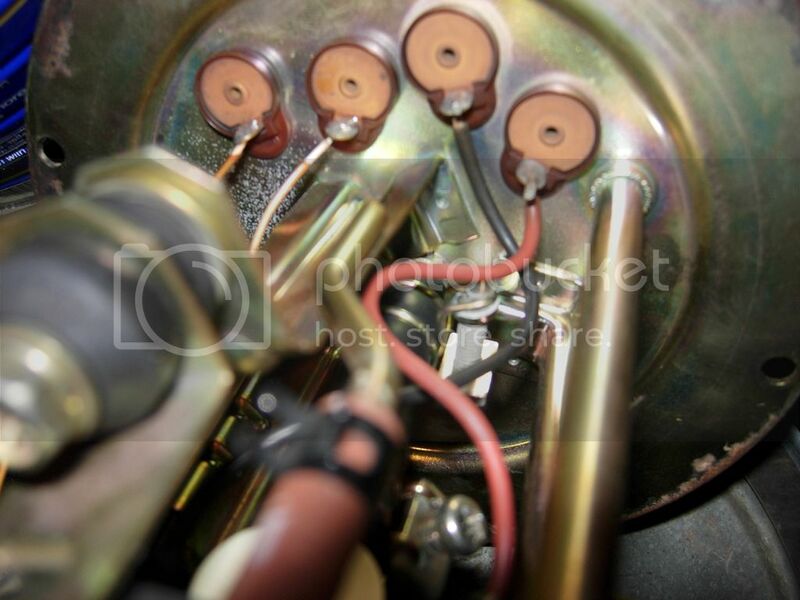 while you are there check the wires going into the tank as the insulator /grommet would dry and crack. If that doesn't work then it's something inside the tank which means you have to take the sending unit out and do a full inspection. Dave, access the plug in the right wheel well. Take out the plastic tray and there is the plug. You can pin in 12 v to it directly to see if the pump springs to life. I would not trust it a bit, not real hard to replace, get a Walbro 195. It will take a little rigging to mount it as it is smaller than OEM. I replaced mine when I upgraded my turbo and am glad I did. Replaced the pumps in my previous owned Lumina Van (Dust Buster) and Chrysler T&C. Had to drop the tanks to do those, so the S-12 is a breeze compared to that. I have had the ECU go out twice on the pump control, so that is also possible. Wiring all in great shape under cover. New pump ordered. Got to believe the old one is just getting intermittent and dying. Dave, what I did was use a small battery charger (or use a 12 V battery) and wire directly to the pump accessing the plug in the right rear side compartment (where the tire wrench is stored). This showed me when my ECU went out as the pump ran fine with power hooked direct. I have considered wiring the pump directly as some have written about, but at this time I still prefer the safety of the ECU controlling the pump. My challenge is at this time the problem is intermittent - sometimes the pump primes and runs, other times no prime with key on. That's why I am replacing the 30 yr old pump 1st. Keep us updated if that fixes it, would be a good idea to know this to be a good symptom of a dying pump. That is exactly what happened to me on my Chrysler T&C. Got to be hard starting, when it scared me enough one night I got of it and checked fuel pressure. It was down to 30 when it shoulda been about 60 psi. New pump resolved completely. Fuel pump installed and working well so far. Here's several pics of stock pump/wiring set up. Yellow=fuel gauge sender; yellow/green=Low fuel light/voice sender; black =neg pump; white/brown=pos pump. Addl black is ground to pump housing. For me the hardest part was getting the pump assembly in & out of the tank hole. Brackets were bigger than the diameter meaning careful tipping/wiggling while not breaking the sender. Also, I am curious, how do the harness wires hook under the black caps on top - I did not attempt to remove them and they do swivel. Looking into tank - cage on bottom pump sits in - didn't know that was there. 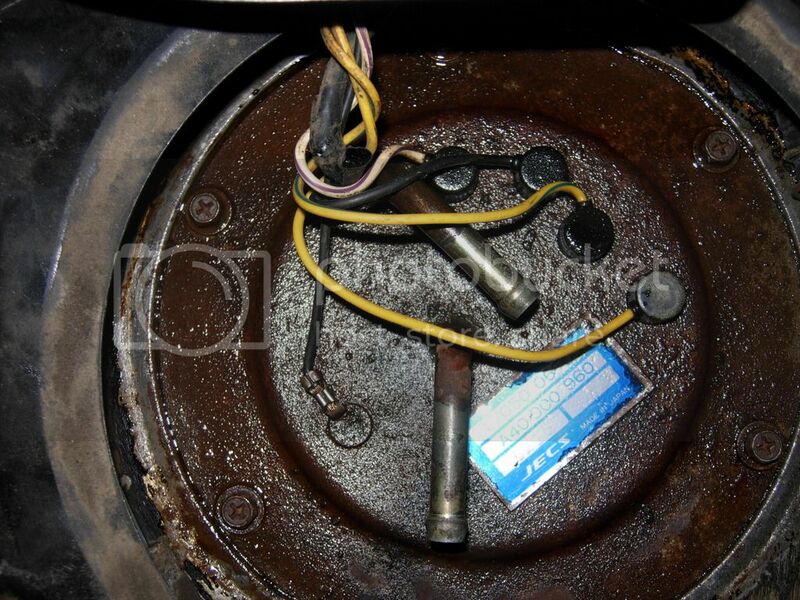 I believe the wires under the caps ontop of the fuel pump it self is 6mm bolt + nut that hold each side. DId yours come with a fuel sending unit as well with the pump? seems soo new and easy. Fingers crossed; hope everything be back to normal. Pump only. Sending unit part of the pump cage. You can see the rubber grommets that hold the cage together - remove three of them, then unhook the pos & neg wires and the center fuel hose and out comes the pump. I was wondering what's under the 4 black caps on top of the housing and how the wires hook into the top. Update - the gremlin lives on. Still getting an intermittent pump - but I have found the problem is with the computer control unit. When I wiggle either of the two connectors, I get intermittent loss of power to the ecu. Have unplugged the connectors and checked them with the meter and they do not cut out no matter how many ways they are pushed/pulled/bent etc. So I assume I have a bad solder joint from the connector to the board? When it works, all is well, but when wiggled wrong, instant stop. Ouch sounds like a bad ecu indeed, should be like a basic pre 90's computer board system and easy to open and inspect and fix with a soldering gun if possible.